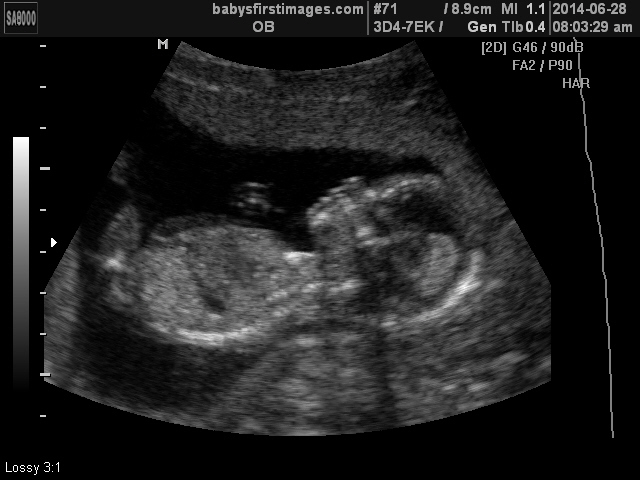 So I’m a couple of days late on the blog update… but it’s official – we’re having a girl! I’m going to steal the words from one of my aunts… I love when God’s plans fit with our desires. Amen! It is such a blessing that we’ll get to experience raising boys and a girl, and I truly feel as though our family will be complete come December. And I am especially excited for my husband because I know how much he wanted a daughter. I can’t wait to see him get to live that dream of having daddy’s little girl – it is going to be awesome! It took my family less than 12 hours to already go shopping and begin the monogramming. Yes, I am that kind of girl and will have (just about) everything embroidered. 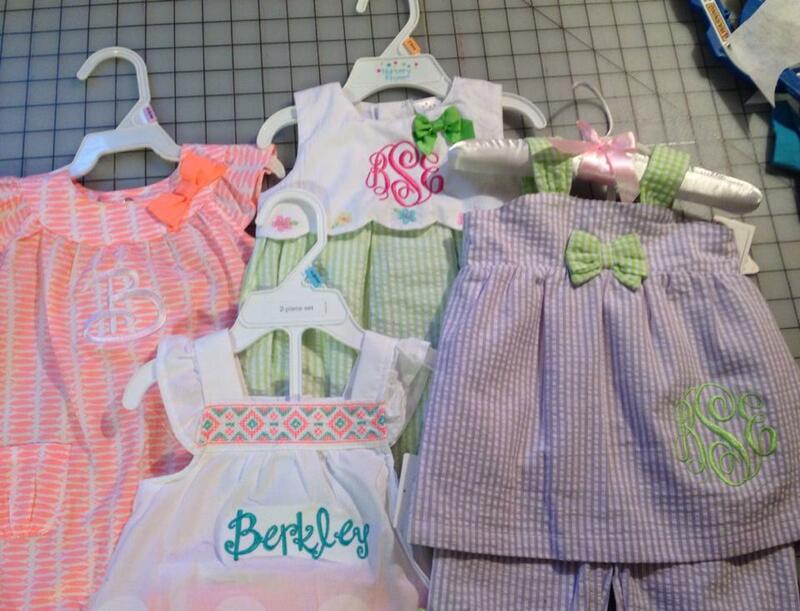 Berkley will probably rebel and be a total tomboy after all of the dresses and bows, but that’s okay. For the first couple of years she doesn’t get a choice and so I get to play dress-up. Brogan is very happy that he’s having a sister. He really wouldn’t even acknowledge the fact that this could have been a boy. As he told me, he already has a brother and does not need another one. Well okay. Glad he got what he wanted too. Brogan has decided he’s going to call her Berkley Blue… who cares that it’s not her real name, that’s what he likes. Blake mentioned it when we were throwing around middle names and it stuck for him. And who are we to argue with Bob? It’ll be fine – she can be Brogan’s Berkley Blue. 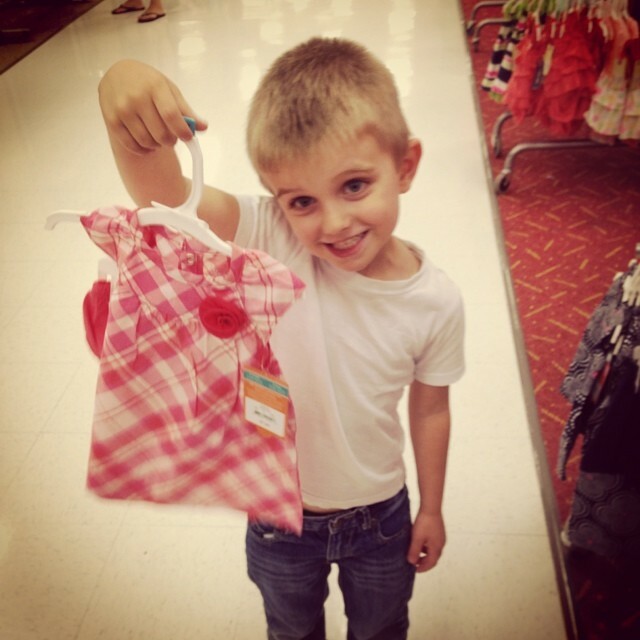 I took Brogan shopping with me at Target and he got to pick out her first dress and a baby doll. He was so proud to be a part of it, and it just warmed this mommy’s heart! Beckett, bless his heart, doesn’t really get what’s going on. I keep trying to tell him there’s a baby coming, but it doesn’t seem to stick. Perhaps he thinks if ignores it, he will remain the baby forever. It’s exciting times for this family! 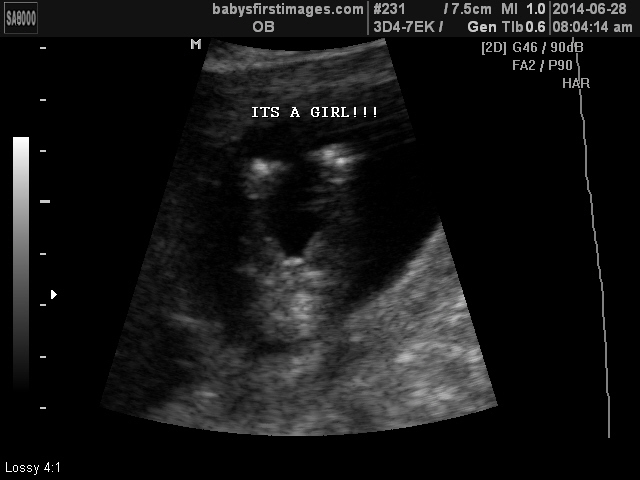 The good thing is that I have cured my curiosity by finding out we’re having a daughter… bad news is waiting until December to get to meet her is going to feel like forever! And at the rate of 16 new outfits within 24 hours – and we’ve got 6 more months of anticipation – means that daddy may be building on to her closet. All good problems to have though… feeling so, so blessed. 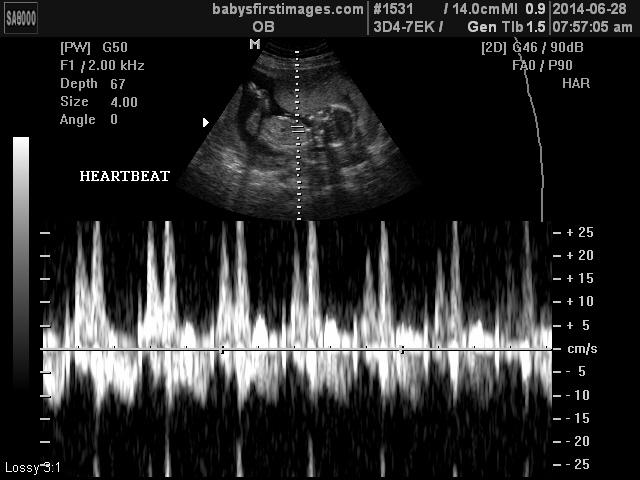 This entry was posted in Kids, Me and tagged 3rd baby, Baby, Family, Gender, Girl, Kids, Ultrasound by biscuitsncrazy. Bookmark the permalink.